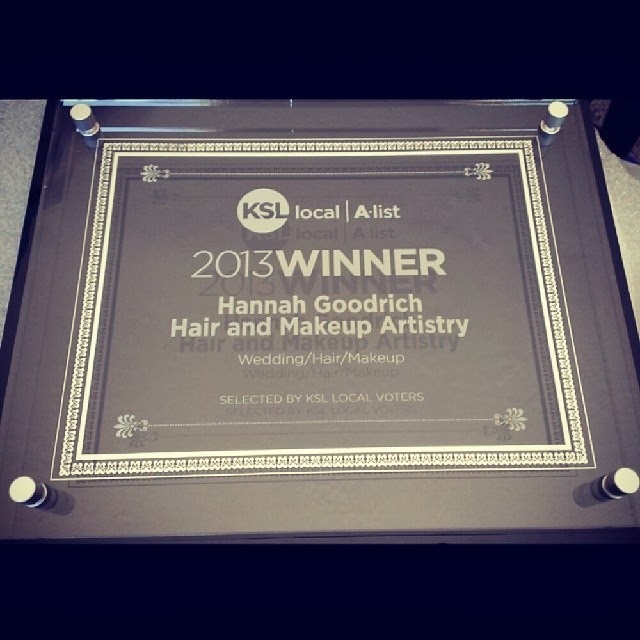 Hannah Goodrich Hair and Makeup Artistry: 2013 KSL A-list WINNER!!! WOW!!! I am feeling so honored and grateful today! Yesterday I was able to attend the KSL Local luncheon and was presented with the KSL A-list Award for best Wedding Hair and Makeup Artist in the State of Utah!! 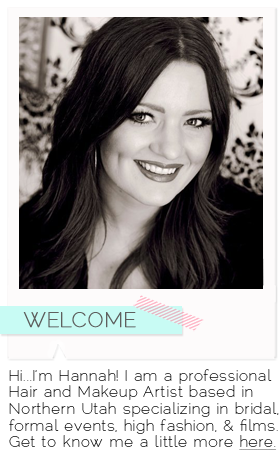 I am so excited to have received such an honor and am so grateful to my amazing clients, family, and friends for your continued love and support! Without you, I wouldn't be able to do what I love!! A huge thank you also to KSL Local for the award and for supporting local businesses! The luncheon was fabulous (and I also won an iPad Air in their raffle...so pretty much best day EVER!!)! !